Self-effacing to a fault, Goldberg did not fit the mold of the poet-prophet favored by many of her male contemporaries and their readers. Her poetic voice didn’t project outward; it drew the reader in, inviting intimate conversation. 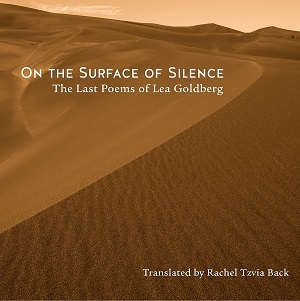 Back’s own literary skill is evident in her meticulous rendering of these poems and the careful consideration she gives to her translation decisions is articulated in her introduction and notes. If you subscribe to The Jewish Review of Books, you can read the full review here, but even if you don’t, you can pick up your own copy of On the Surface of Silence here!